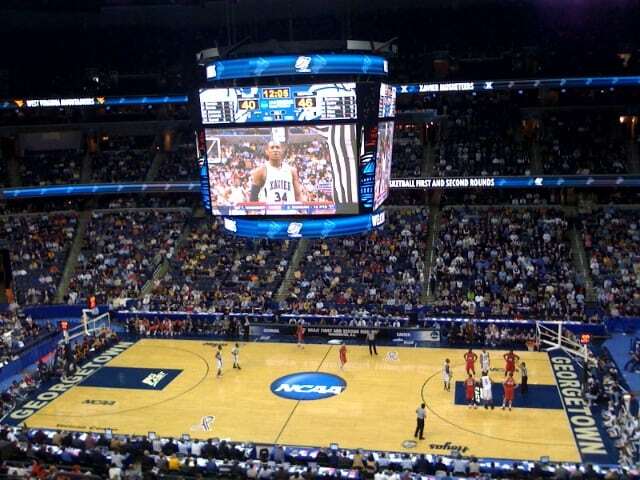 It’s March and that means March Madness will be upon us shortly. Having spent a portion of my childhood in Indiana, basketball is in my blood. Basketball is huge in our household. Our family especially loves March Madness and the NCAA basketball tournament. Something we have done as a family is create a Family Bracket Challenge. It has been going strong for about 5 years. Our bracket challenge has grown and evolved over the years, but always provides excitement (and sometimes temper tantrums) for everyone involved. Want to set up a bracket challenge for your family? Check out how ours works and then figure out what works for your family. Our bracket challenge rules are one of the main components that have changed over the years. It’s still a work in progress. We started with progressively weighted rounds that double in point value for each round, which is the most common set up for online brackets. So correct picks in the first round are worth 1 point, 2 points in the second round, and continue to double until you get to the final game. You also need to pick the score of the championship game to use as a tiebreaker. Another way of setting your bracket up is to put more emphasis on the total number of games picked correctly as opposed to the value increasing each round. This works better with younger kids as I’ve found they tend to lose interest if they aren’t at least in the running towards the end of the tournament. When we first started out, we would actually just pick one round at a time to allow everyone to pick more games after winners of the previous round were decided. This worked great but is time-consuming to keep up with winners and losers and getting everyone to fill out the next round’s games in a timely manner. Winners play twice in a weekend so there are time restrictions with setting your bracket up this way. Again, this is a better set up for families with younger kids. They don’t seem to take losing very well. I wonder where they get that?! Does your family fill out March Madness Brackets? 2nd place chooses a local restaurant that we will visit as a family. 3rd place chooses a local spot for dessert to wrap up our family adventure. When our kids were younger, we had to find ways for everyone to win so we would do 2 separate family adventure days, which provided choices for all 6 of us. Doing your bracket this way has the potential of being very expensive. As our kids have grown older, I am OK with some of them getting upset because they didn’t win. I was probably being too nice to our kids when they were younger. We will never go back to 6 winners. There are no participation trophies. 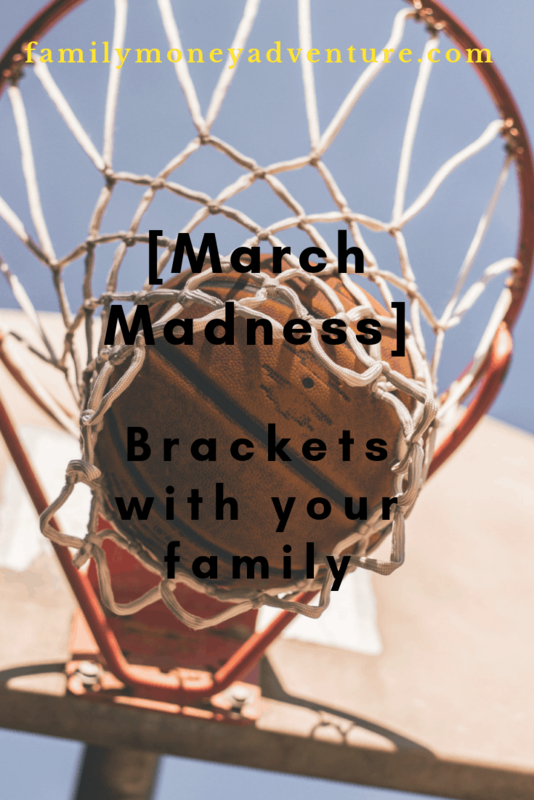 My wife and I created the bracket challenge shortly after we adopted our daughters as one way to bring us all together as a family for some fun. Not only does the challenge end with family time together exploring new places locally, but we also spent time together watching games and highlights, discussing our picks, trash talking each other, and sharing what prize we would choose if we win. Our family bracket challenge is about more than just basketball and, as much as I love basketball, I wouldn’t have it any other way. Do you participate in March Madness brackets? If so, what is your strategy for picking teams? Let us know in the comments below! I love this. This has always been something we’ve done together as a family as well. When our kids were younger (or for our dog), we would either pick all top seeds or pick based on species of mascot, alphabetical, etc. Those made for some fun (and surprising) results. For those of us that are older, we’ll usually pick our own, based on a minimal research. Our winner has sometimes picked a victory meal or dessert or things like that. We’ve typically used an online bracket contest to calculate everything just because it made it easier.